Watson and Crick had determined the chemical compositions of DNA, but they couldn’t quite figure out how it could accomplish the genetic feats known by biologists. Rosalind Franklin’s work with x-ray diffraction provided the clues that led to the discovery of the Double Helix. In this presentation, Dr. Johnson-Steigelman will use a laser to demonstrate diffraction and identify key features in DNA’s diffraction pattern. This is a great demonstration of how the diffraction pattern contains information about the structure of the object producing the pattern. We’ll talk about how the diffraction pattern is produced and the measurements that we take. If you like biology, chemistry, physics or most importantly lasers, you’ll enjoy this talk. 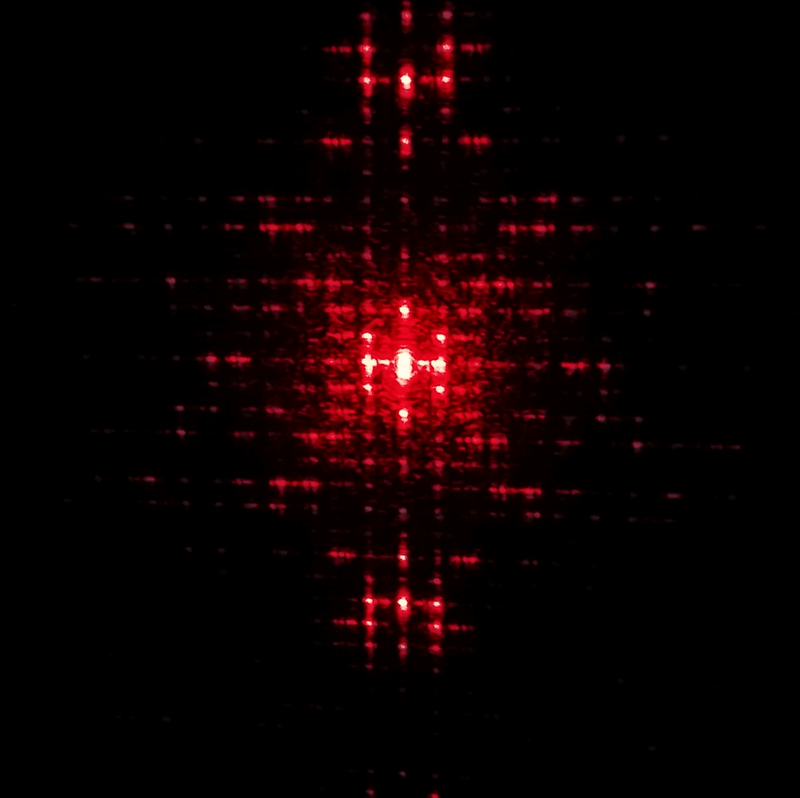 The diffraction pattern is produced using a visible laser and a special slide produce by ICE, the Institute for Chemical Education. You can order your copy of the slide and a set of lessons related to diffraction and DNA at the ICE website.